For decades, Americana encompassing the likes of Chippendale highboys, Chinese Export porcelain and even school girl embroidery was hotly coveted and even fetched staggering prices. But recent years have seen a slump in demand for more traditional work, despite an increase in attention to adjacent genres such as folk and outsider art. And the shift in taste is forcing some dealers to shake up their business strategy. Attracting a wider collector base has been top of mind for many in the Americana field, and fairs such as the Winter Antiques Show—now re-branded as simply the Winter Show—and the Outsider Art Fair have attempted to lure more visitors by folding in contemporary art offerings. The combination of traditional and avant garde, has proven good for marketing, but collector excitement for the former does not seem to match the hype of the latter. Today, however, one of the biggest buffeted areas not just furniture, but Chinese Export porcelain, which Americana collectors like Henry Francis DuPont would regularly sup on. “A set of Fitzhugh [porcelain] would sell for $15,000,” says dealer Michael Cohen. “Today one would bring only $1,000 as [collectors’] children don’t want it—those dinner services are now stowed away in cupboards,” he notes. Americana collector taste has migrated instead to folk and outsider art. 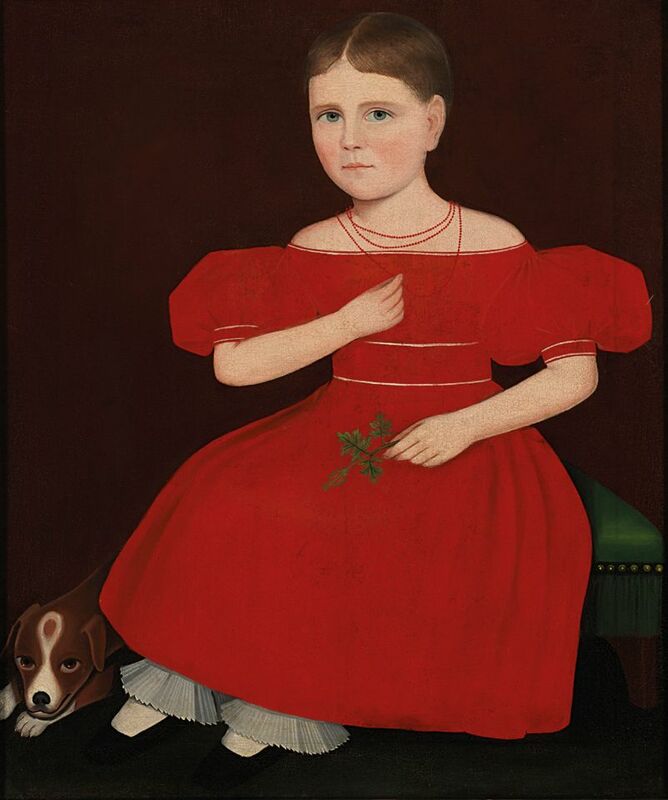 At Christie’s Americana week sales last week (14-18 January), an Ammi Phillips oil painting, Girl in a Red Dress with a Dog (1830), scored a record $1.7m (est. while a Bill Traylor work on paper went for an unexpected $396,500. At the Outsider Art Fair (17-20 January), Frank Maraca of the Chelsea gallery Ricco/Maresca sold two works on paper by Martin Ramirez and one by Bill Traylor priced from $100,000 to $200,000. “Ten years ago, those prices would have been shocking,” says Christie’s specialist Cara Zimmerman. “With more museum shows and increasing scholarship, this category is gaining wider acceptance and younger clients are coming into the market”, many of who see vernacular art as more contemporary, she adds, given that much of it is less ornamental or stylised than other Americana genres. The shifting market, however, has forced some Americana specialists to radically change their business model. Last month, Ron Bourgeault who founded the New Hampshire-based Northeast Auctions in 1987, completely overhauled his firm. “Recently I sold a prize New England desk pegged at $65,000 but it only went for $12,000,” he says. He adds that the peak Americana “days are over”, so he has instead transitioned to a boutique firm, Bourg Ault-Horan Antiquarians, specialising in auctions and private sales only.